…what you sometimes find within them! Those little touches of sewing history that pop up now and then inside the pattern envelope never fail to make me smile. Not to mention the chance to learn a foreign language! These relics personalise a pattern and make it more valuable to me, so I’ll be keeping them in place. Except maybe this one, that was “unchecked and in vintage condition” – I might give it some much needed TLC! Actually damage like this is something I don’t like, but it happens. What about the 3mm wide cutting lines on this one – depending on what side of the line you cut, in this princess style you could end up with a size 12, or a size 16 – perhaps it is just as well it was never used! But that wouldn’t have mattered for this seamstress who wasn’t the best at cutting along the cutting line anyway – or maybe she was rushing because she had to wear her new dress out that very night! Most of these details are relatively nondescript, they just catch my eye and give a small connection to the person who used them before me. To me this adds value. And the poor unused ones in factory folds leave me a little sad, even though that apparently adds to their commercial value. 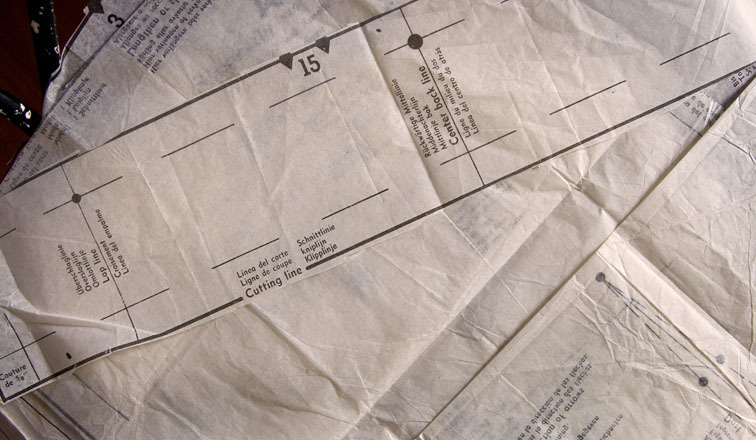 Have you found any interesting little details hidden amongst your vintage patterns? And do they give you the warm fuzzies too? Sewing Gadgets – Are You a Minimalist or Maximalist? I've never seen vintage patterns, but have often wondered what someone will think when they read my notes scribbled across patterns. Started in Age 3 on 1.12.94 for G…. Don't make this again – this stretched in the wash to fit G… at age 5 !!!! This was before I knew about swatches, blocking and says a lot about how adventurous I was as a self taught beginner doing a kiddy sweater in baby cables! Great post and a nice travel down memory lane. What wonderful bits of the past these are – makes the experience so much more special. Great post – I love how you've read stories into the state the patterns were left in. 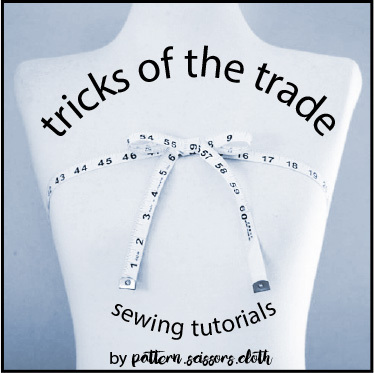 You've powerfully articulated how special owning and using vintage sewing patterns is. What lovely finds! I must admit I'm almost as thrilled with the old repair receipts in my Featherweight case as I was with the machine itself (ok, maybe not, but they sure were neat). Also, “unchecked and in vintage condition”! Hilarious! 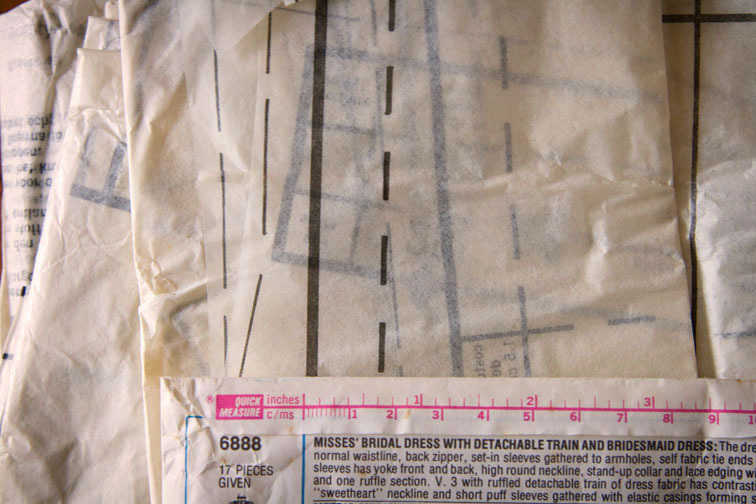 One of my old patterns has several pieces that were traced in the past on newspaper. 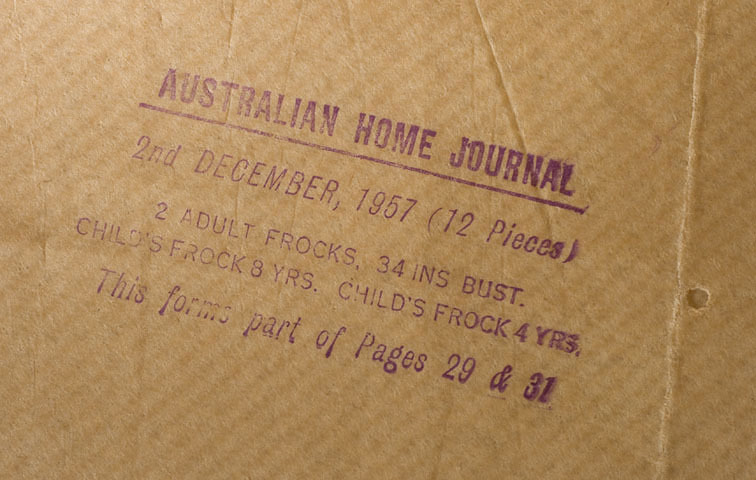 I love finding bits like that—it offers both a precise date on the use (as opposed to purchase) and also gives you a quick reminder of what was going on when the pattern was new(er). 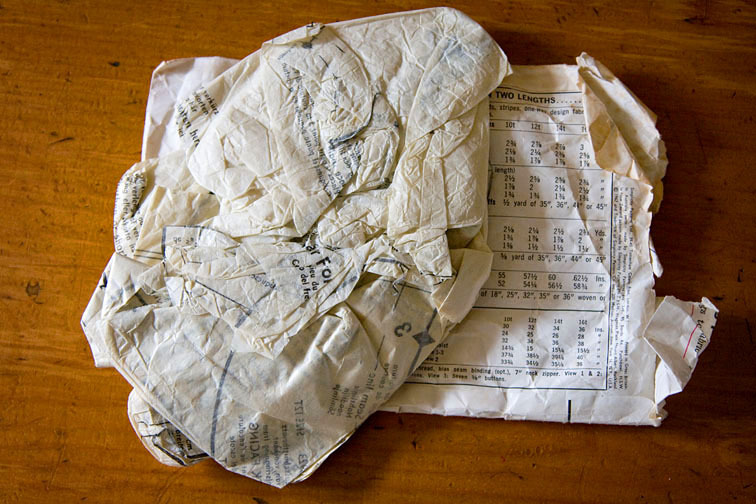 I have to admit that I once put a Simplicity pattern back in the envelope like that “unchecked” one- of course I was really angry with it at the time. Maybe that's a sign of frustration. I love the stories that vintage things tell! I always wonder about the person that owned them before. 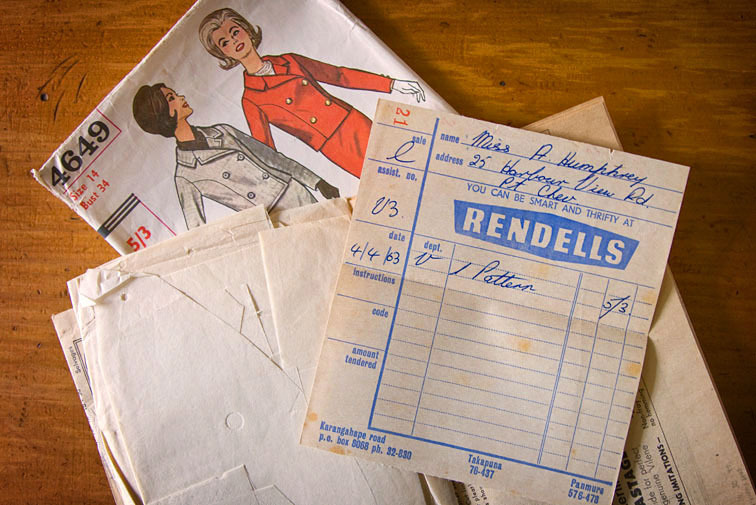 I inherited my 101-year-old grandma's sewing patterns (yes, she is still wonderfully alive!) after she couldn't sew anymore. They were all completely tattered and used to death, and sometimes all scrunched up in the envelope. I don't know if I'll ever use them but I love looking at them–she seemed like a “just use it/just do it!” kind of seamstress. …As for the wide cutting lines, some of them get so big I wonder if cutting accuracy wasn't so much a thing because one fit as one sewed? I recently bought a 70s pattern that looked just like yours, cut all over the place in and outside the lines–hilarious! 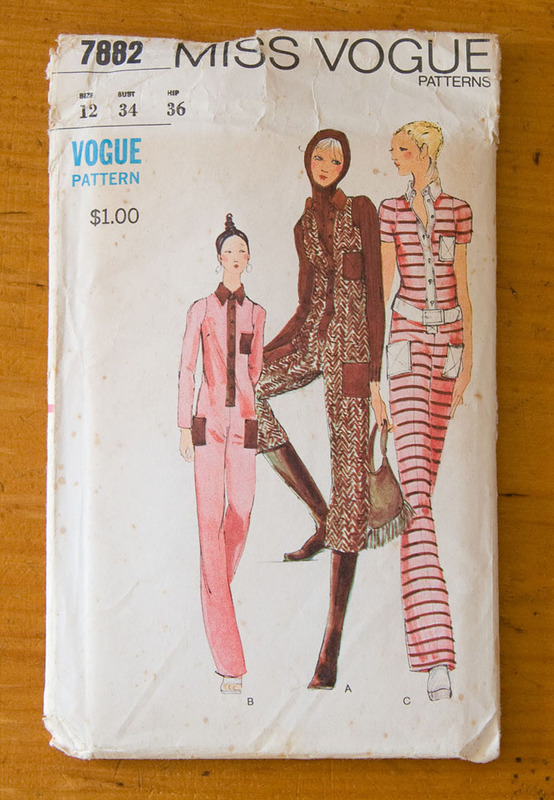 I love vintage patterns, but most of mine are vintage because I bought them new so long ago! Friends purge their own collections, or their deceased parents' collections, and drop off boxes and boxes. I try to let all of them live for a week or more in the deep freeze, to kill any insects who may have come in the patterns or in the boxes. Some I keep just to look at, some I take out and use to sew. I love when a person's name is pencilled on the outside, with cryptic notes like “remember to buy zipper” or “no lace, she hates it.” I put working patterns in ziplock bags, pieces folded with name of piece on top; instructions inside original pattern envelope; pattern envelope clearly visible in bag. I hope that this will make life easier for future sewists (and less easy for paper-eating critters). I found some delightful pale pink tailors tacks in one pattern, and copied pieces cut down for different sizes, which was incredibly helpful! I personally love it when the name of the seamstress or the person the garment was intended for, is written on the envelopes – I'd take that version over an unused one any day. Also love it when there's fabric scraps still inside! 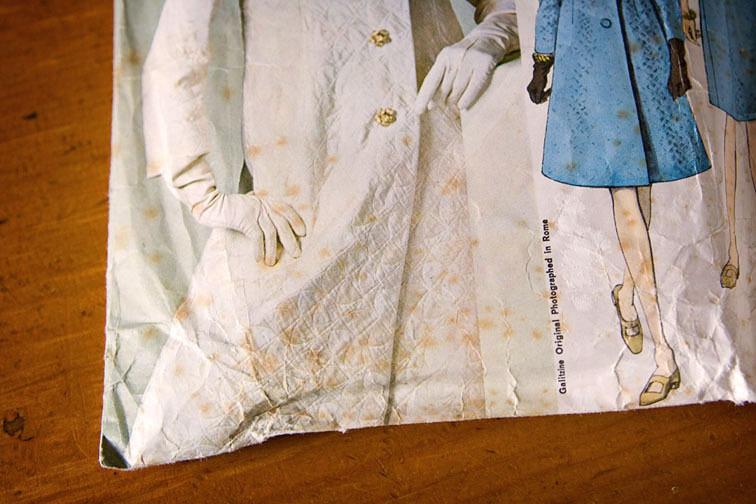 Something I hope to find tucked inside one day is one of those Vogue Couturier labels – has anyone come across one of them yet? The vintage patterns, some of them are really neat! My measurements going by the pkg have me cutting a totally different size than I buy in RTW. It will be interesting for sure to see what size I actually need LOL. What fun! Some of my recent finds include newspaper clippings (the comic section) and pattern pieces that had been traced from another pattern. its a nice post on what things we should see before buying vintage clothes. Vintage patterns are really special for so many reasons. The artwork, history, and for the very reasons you showed in your post – a touch of the person who owned it before. Makes you wonder about their story. oh that is so touching . Have you been to see the house . Maybe she still lives there!!! Maybe that would be storking!!!! ~mem – Lol! I haven't thought of doing that! Now you have me curious!! I got a 70s maxi dress pattern from an op shop a few weeks ago for, oh, 50c, and found that they'd obviously altered the bodice onto newspaper and shoved it in the folder. It was part of the real estate section from the same year as the pattern – 1977 – where I learned I could buy a Takapuna townhouse, two minutes from the beach with beach views, for $45,000. Or a motel in Fiji for $295,000. All my daughter's pattern look like that unchecked and vintage one… On the other hand mine are all (obsessively) neatly folded! I'm trying to teach by example! They are intriguing – and you MUST make that jumpsuit pattern – too cool! I've only made a couple of vintage patterns (apart from my mum's when I was a teenager) but I'm starting to see the personal aspects which make them rather lovely. Comments by the sewer are so interesting. 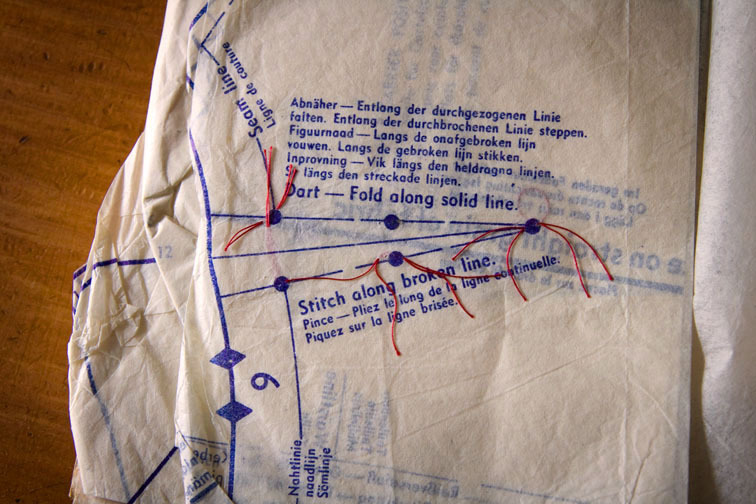 The different sewing methods are also fascinating. Were they much more pristine than today? Tailors tacks? Do people do those now or am I just lazy? That jumpsuit with the topknot is just scary. Please never let that come into fashion ever again. So fun! I have not many vintage patterns, but I love the few that I own them, each one has a bit of past history. Just like yours! So exciting! 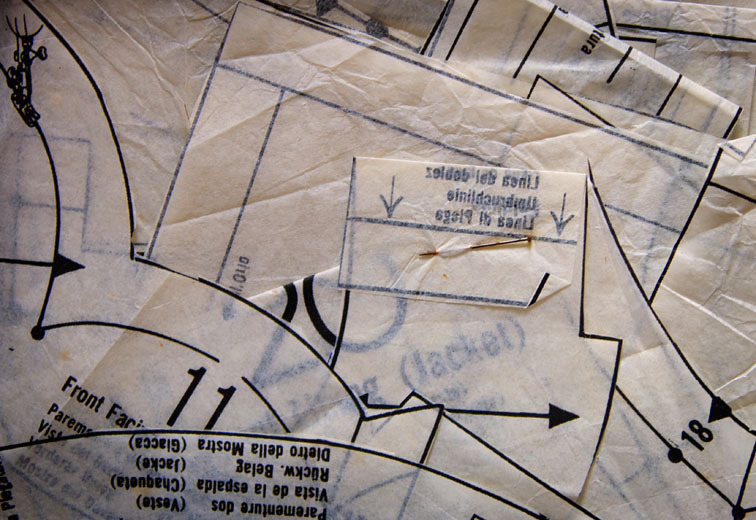 I love seeing personal touches in the vintage patterns I have too. Some I bought in a job lot were obviously owned by a dressmaker as they have her clients' names and fabric choices written on them, my favourite one being “Miss Catchpole – pink floral vyella”.